As Turkey braces for a fresh round of US sanctions amid a plummeting lira and what Turkish President Recep Tayyip Erdoğan says is "economic warfare" with Washington over the detention of US pastor Andrew Brunson, millions of refugees - primarily from Northern Africa and neighboring Syria, would likely flood into Europe as the Turkish economy collapses according to Newsweek. 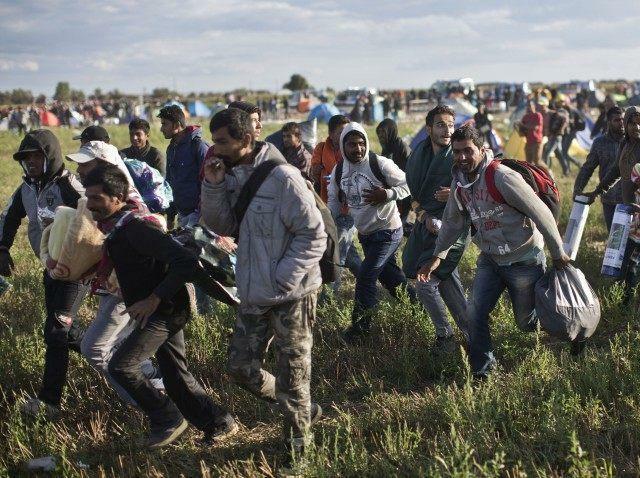 Turkey, meanwhile, has threatened to open the floodgates to Europe in the past - as foreign minister Süleyman Soylu warning that Ankara could send "15,000 refugees to you… each month and blow your mind," while threatening Brussels into footing the bill for the multi-billion dollar deal. Such a scenario "could have major political consequences for politicians like German Chancellor Angela Merkel," whose internal battles within her coalition government have left it in a precarious state after significant pressure to dial back her EU open-border migration policies which began in 2015. Merkel has urged the Erdoğan administration to maintain the independence of Ankara's central bank - stressing the importance of an "economically stable neighborhood," while speaking from Bosnia this week. "No one...has an interest in an economic destabilization of Turkey, but of course everything must be done so that, for example, an independent central bank can work and so on," she added. "Erdoğan has been talking about sending people back to parts of Syria that Turkey controls. But many of the refugees are from the areas that [Syrian President Bashar] al-Assad controls, they aren’t going to want to go to northern Syria," says Alizira. "The so-called Balkan route has been closed down. If Turkey turns on the spigot, which is a terrible way to refer to refugees, they’ll go to Greece. If boats start to leave Turkey, it’ll be a problem for Greece. Beyond, I don’t think it’ll hurt the EU."